I thought this was an awesome race! 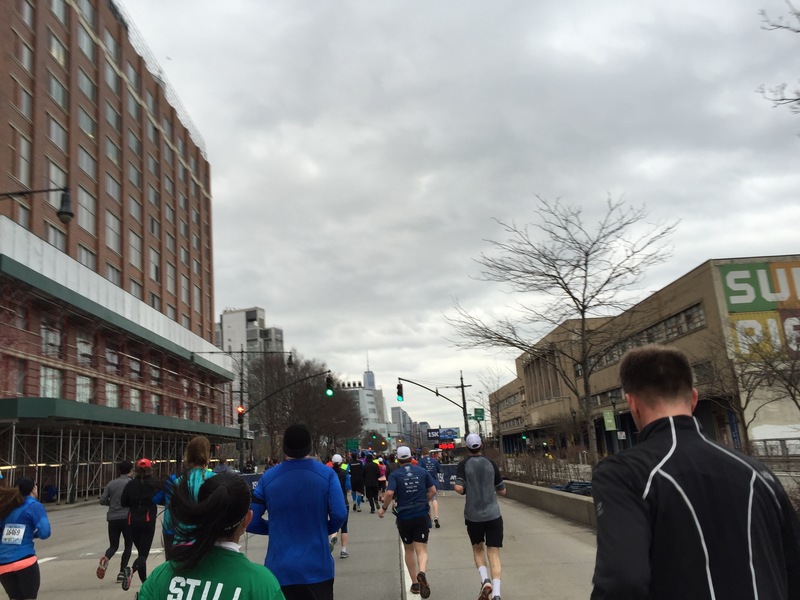 It’s not everyday that you get to run in the streets of New York City with 19,455 other people. 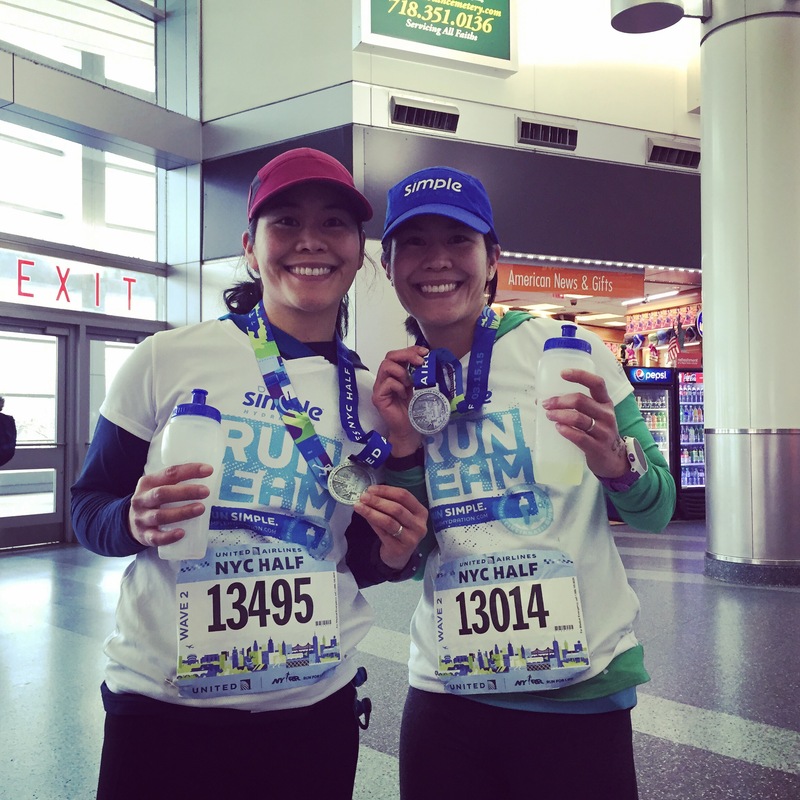 We ran through a great part of New York City, starting at Central Park, to Times Square, then on to the West Side Highway, and finished on Wall street. We took the PATH train from the Newport Station until the last stop, 33rd St. Then we took the Subway towards Central Park and got off at 57th St. We entered the security point for our corral on 6th Ave. This is the biggest race I’ve ran and my first time to go through security for a race. Here’s pics of the security point we went through. After we went through security we walked towards our corral. We were in Wave 2 corral 13. Here’s a pic I took while walking. This was at 6:55 am. There were plenty of porta potties. There wasn’t much of a line if you went further down the long rows of them. When we got to our corral, it wasn’t packed yet. Here’s a pic taken at 7:13 am. Our wave start was at 7:45 am. I’d rather be early than rushing to the start. 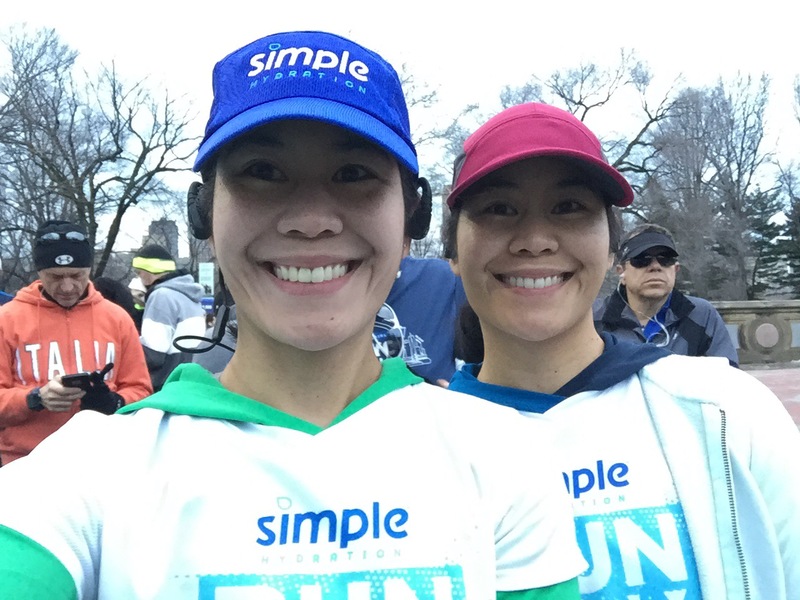 Here’s a pic at the start with my sis, Run-Hike-Play (Check out her recap too 🙂 ). It’s so cool that we both got in this race and got to run it! She’s the one who urged me to register, and I’m glad she did! I took my pre-race fuel, ENERGYbits around 7:30 am. 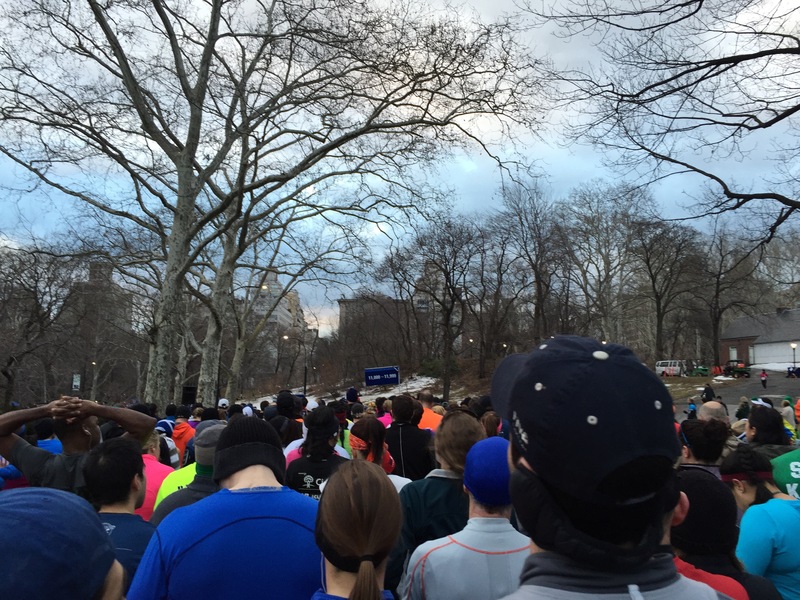 Here’s a pic taken at 7:35 am with much more people at the start. At 7:46 am. Our wave started and you could see runners heading to the start line in the left of the pic in the corrals ahead of us. We went around a bend towards the start line. 7:47 am. Beginning of the race. 8:10 am. You can see runners on both sides. 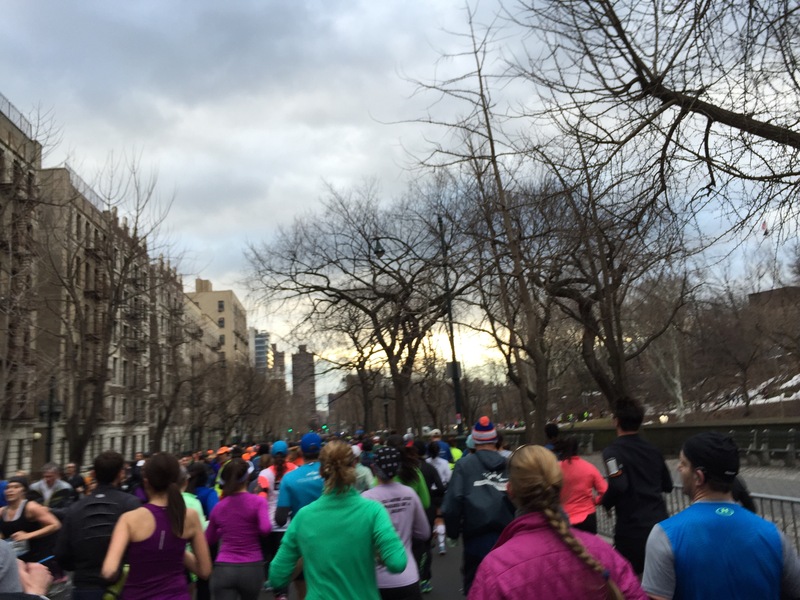 This was a really crowded part of the race since the road was narrower than other parts. 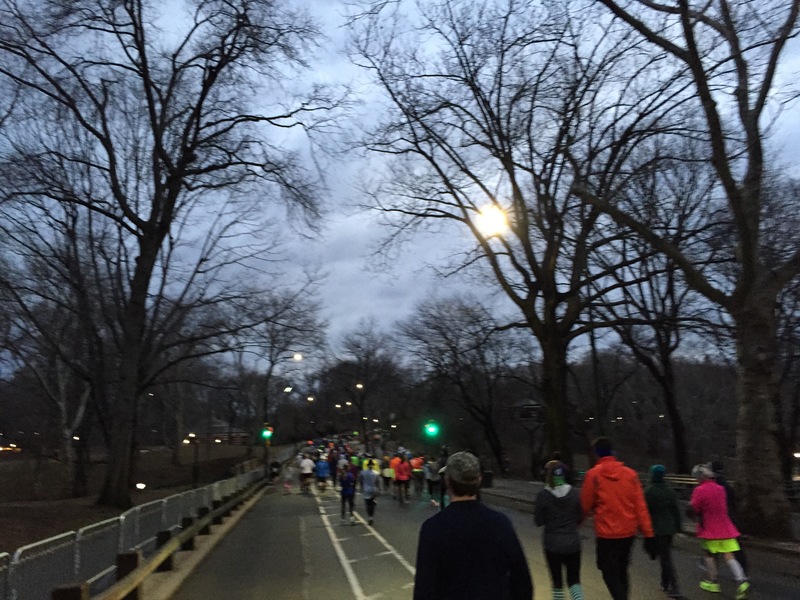 I had to zig zag and really watch where I was since it was narrow and I wanted to maintain a good pace. 8:35 am pic. Heading out of Central Park. The first 6 miles had hills, which were tough. I was happy knowing that the rest of the race was mostly flat or downhill except for a little part towards the end. 8:40 am. Heading towards Times Square. 8:44 am. 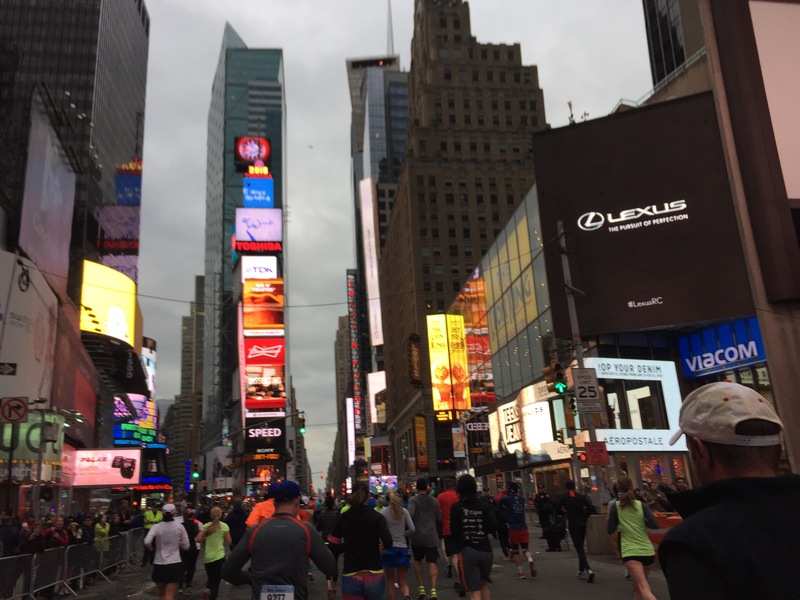 Loved running through Times Square! The crowd support was awesome and seemed to help me run faster. 9:06 am. I’m close to the 15k point here. If you look closely, you can see the 15k sign up ahead. 9:18 am. View of the Freedom Tower. I felt pretty good throughout the race. I was thinking I could PR. I wanted to so bad and towards the end I really pushed it. Especially when I saw the blue signs saying 800 m left to go and then 400 m left. The crowd really helped at the end too. It was awesome! I loved the support and encouragement! 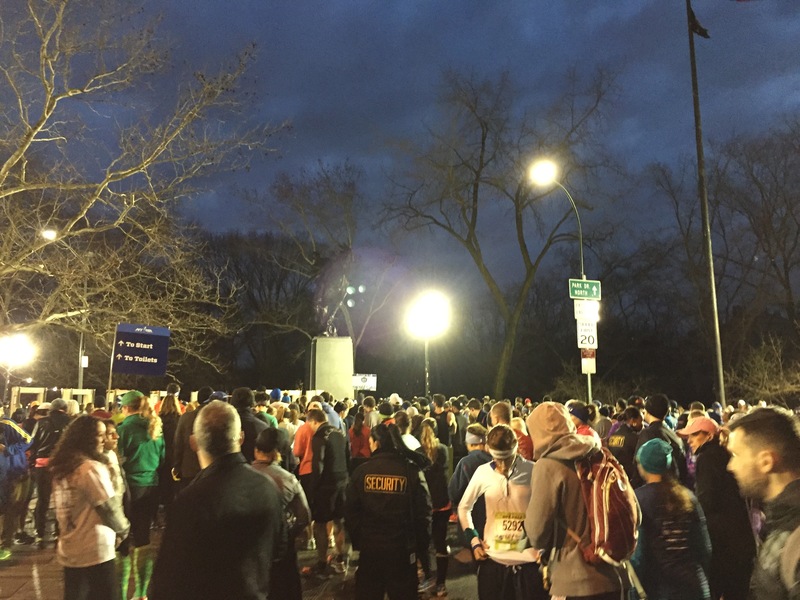 Thanks to all the volunteers and crowd who made it such a great race! I managed to PR! All my training and hard work paid off. My previous personal record for the half marathon was 1:51:10. I ran a 1:50:52! Woohoo! Here’s a pic I took of the finish line after I had crossed. At the finish area we got our medal, a bag filled with bottled water, pretzels, apples, and Gatorade. We also got the after race blanket. Here I am in it. It really kept me warm. According to my Garmin the temp was 41 degrees F out and felt like 36 deg. So it was cold but still great racing weather. During the race, I used two Gu and filled my Simple Hydration bottle with Nuun. It’s awesome not having to stop at hydration stations. Here’s my sis and I with our Simple Hydration Bottles that we love so much! 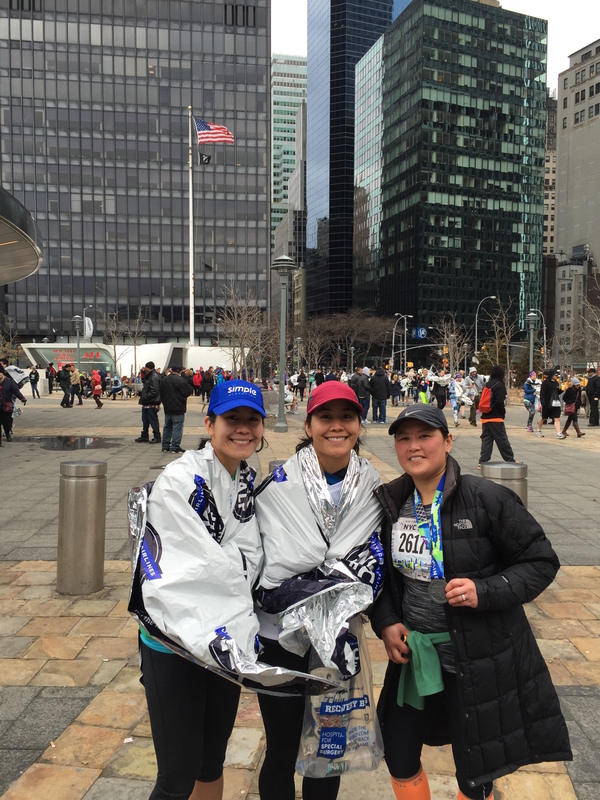 Here’s a group pic with fellow #RunderfulRunners member, Minyee. Here’s a closeup of the cool medal. 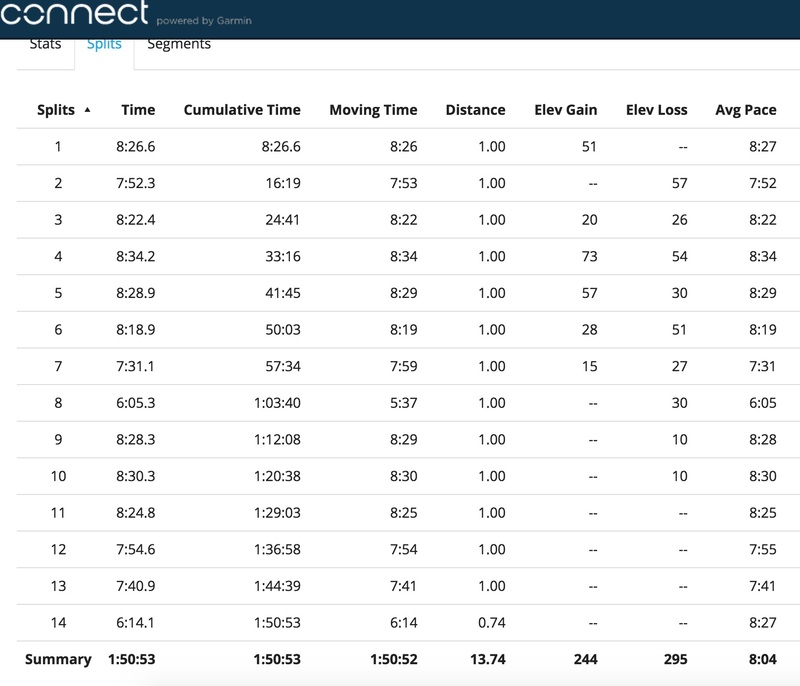 According to my Garmin data, I ran 13.74 miles. Here are my official results: So I thought this race was awesome!! 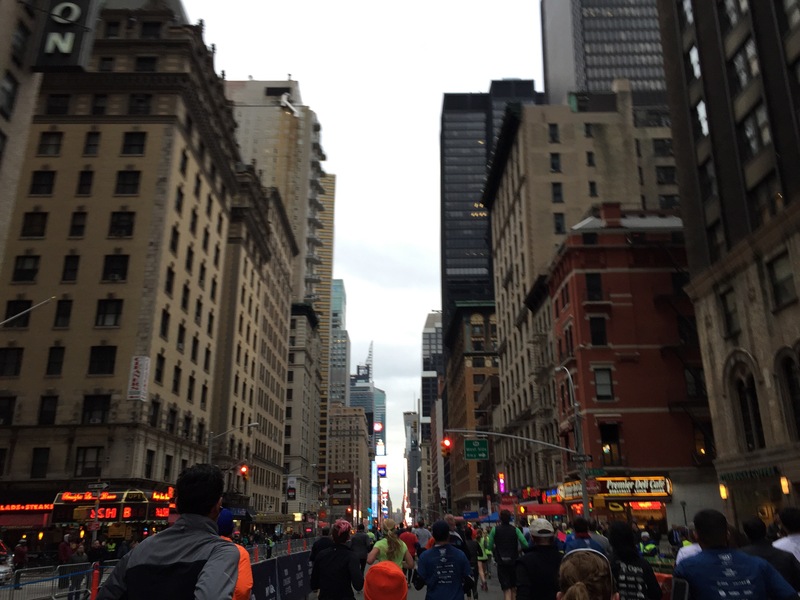 A few years ago, it never would have crossed my mind to run in New York City. I’m so happy I got the chance to do it! Also, to PR in such a big race was too cool! 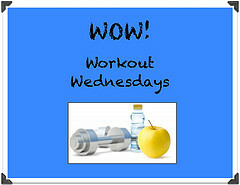 Brought to you by hostesses Diatta Harris | Femme Fitale Fit Club and Sheila Simmons | The Frugal Exerciser. Congratulations! 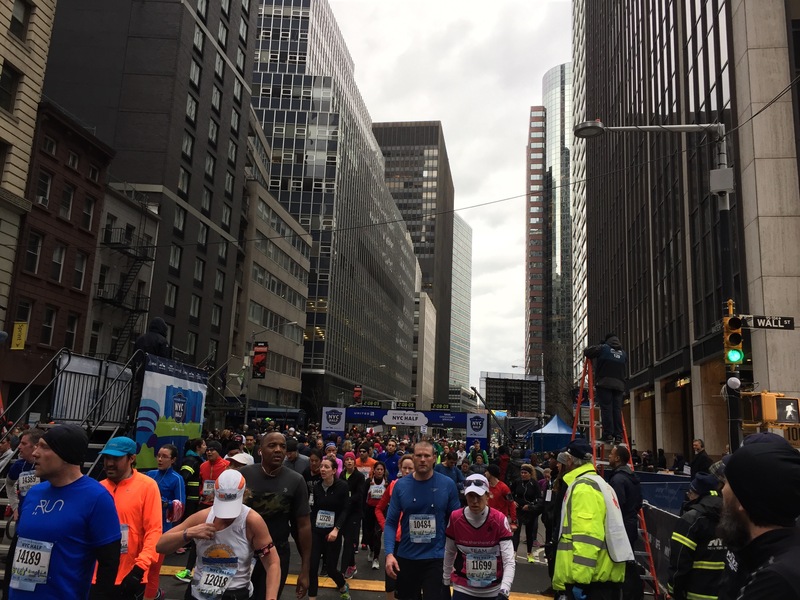 I ran the NY marathon last year and it was the best experience. I’d love to do the half. I think its cool you run through Times Square, that’s one are the full marathon misses. Thanks! 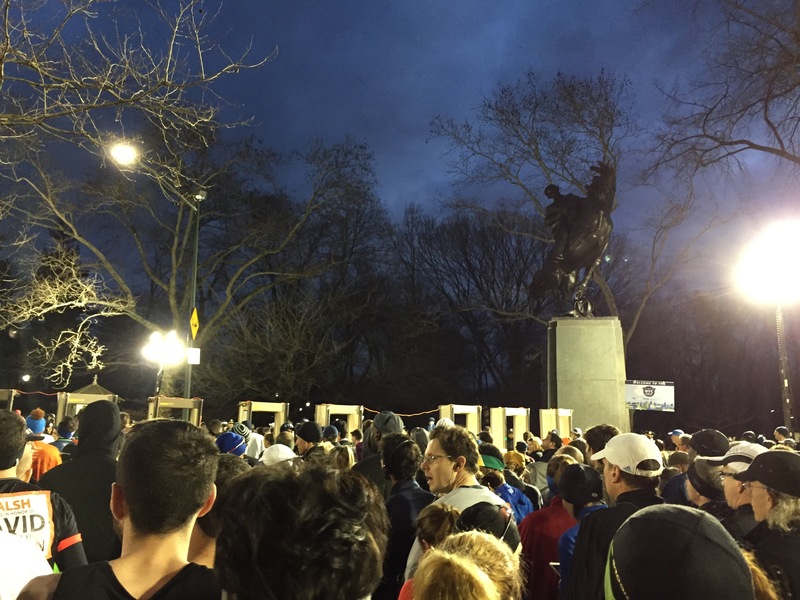 That’s awesome you ran the NY marathon!! Awesome race and great results. 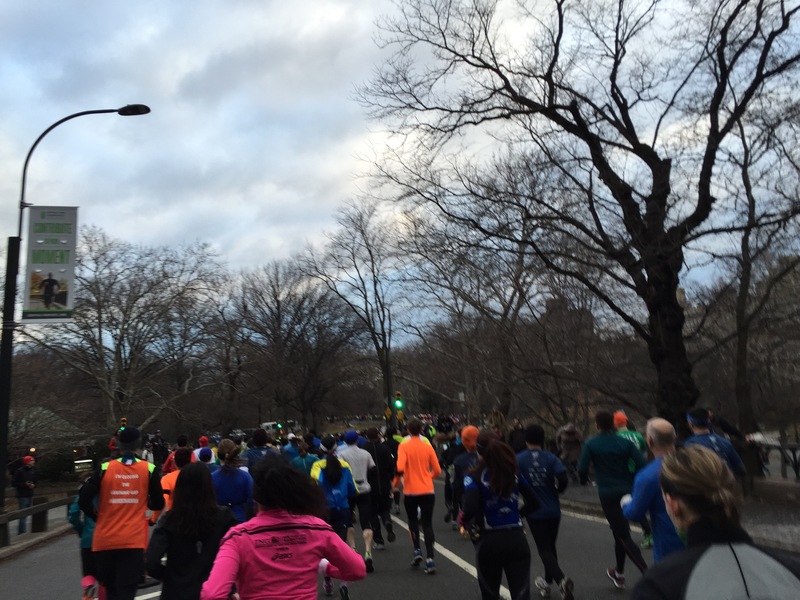 Wow, you really kicked it at Mile 8. Very impressed!. 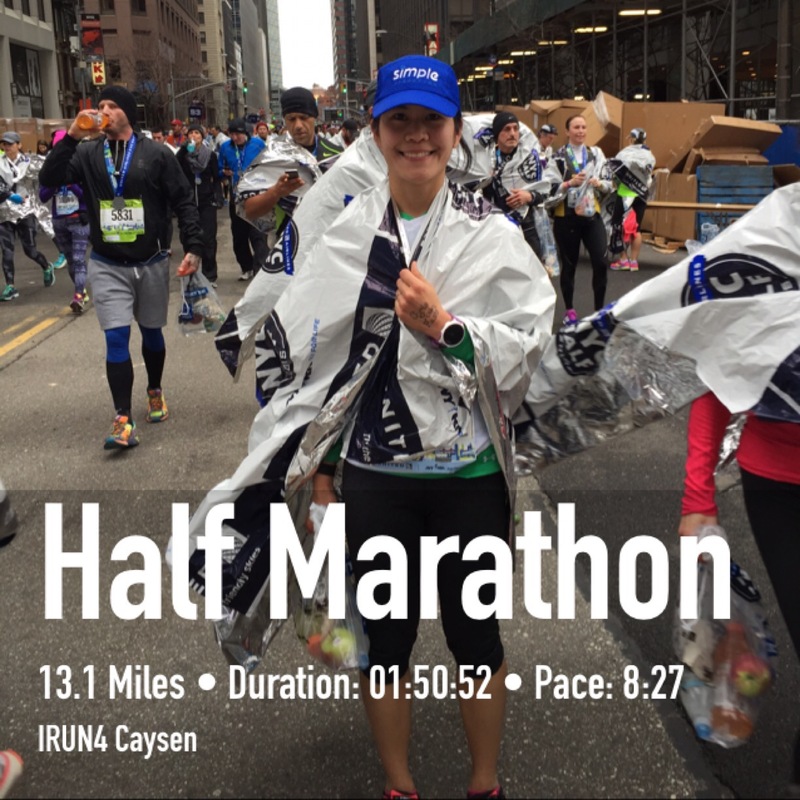 Wow so you PR’d while running more than 13.1!! Awesome! 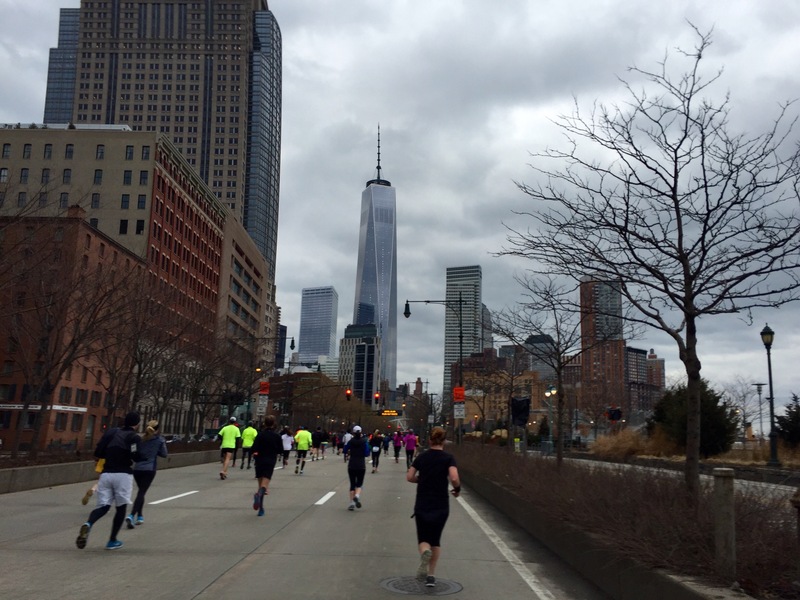 I so want to run in New York City! 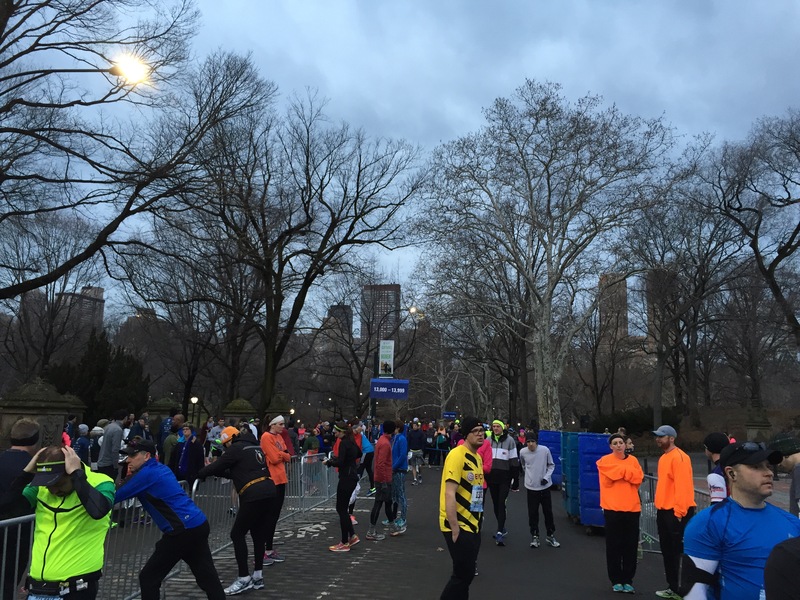 Even if just for a vacation run I’d love to run in Central Park! Super congrats on that awesome time! I am also amazed that you could take pictures while you were racing too!! NIce job and congrats on the PR! I’d love to do that one. You did a great job, congratulations!! 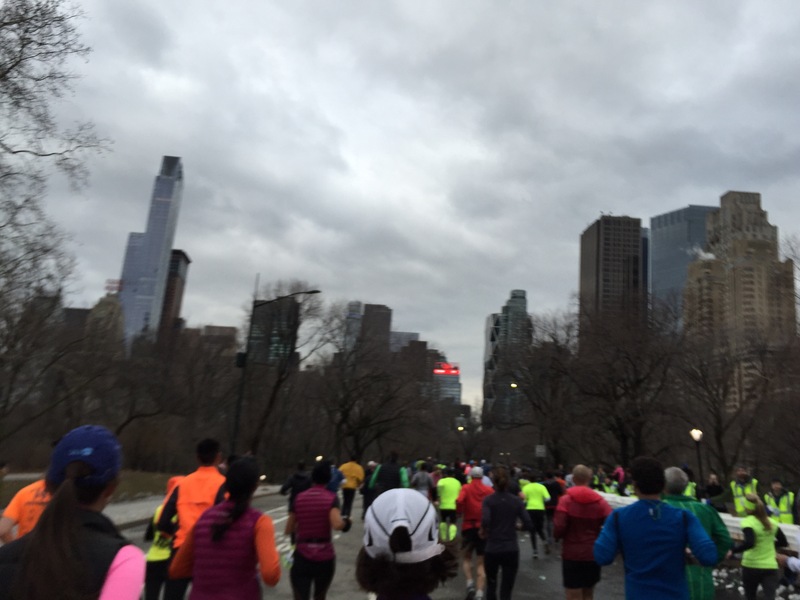 I’ve run in Central Park and now I’ve added a NYC to my running bucket list! Great to know that there was a lot of positive energy during the course! Thanks Janelle! Yes, the positive energy was especially amazing in Times Square! I had visited NYC before but this experience was more awesome! Thanks! Haha, we are twins. 🙂 Thanks Diatta!! 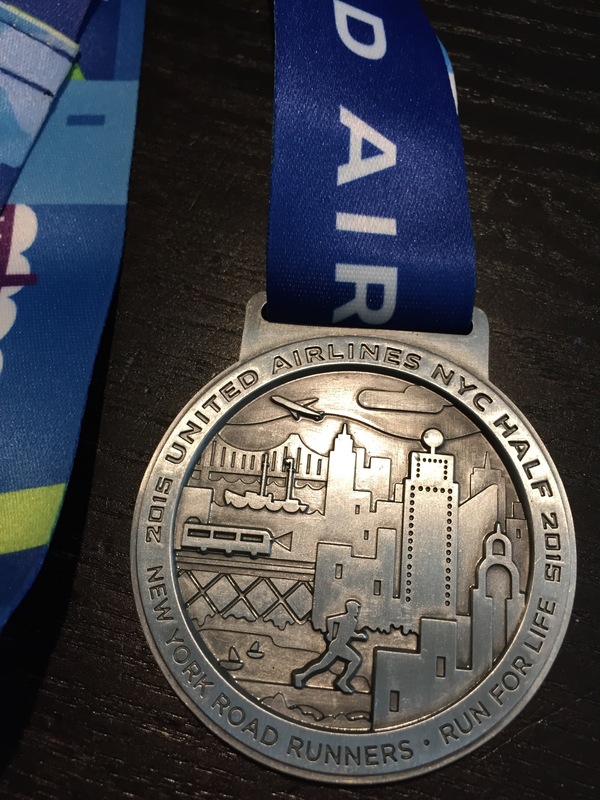 I’m glad that you and your sister had a great time at the NYC Half and that you got to visit Liberty State Park. I would have liked to meet up with you guys for a Simple Hydration Ambassador meet up (particularly since you guys were staying on my [former] of the river), but I didn’t say anything because that weekend was a crazy busy moving weekend for me. Thanks Lillian! It would have been nice to meet up with you! Its ok, hope your move went well! Have a great weekend! Congrats on your PR! It looks ike a fantastic race. 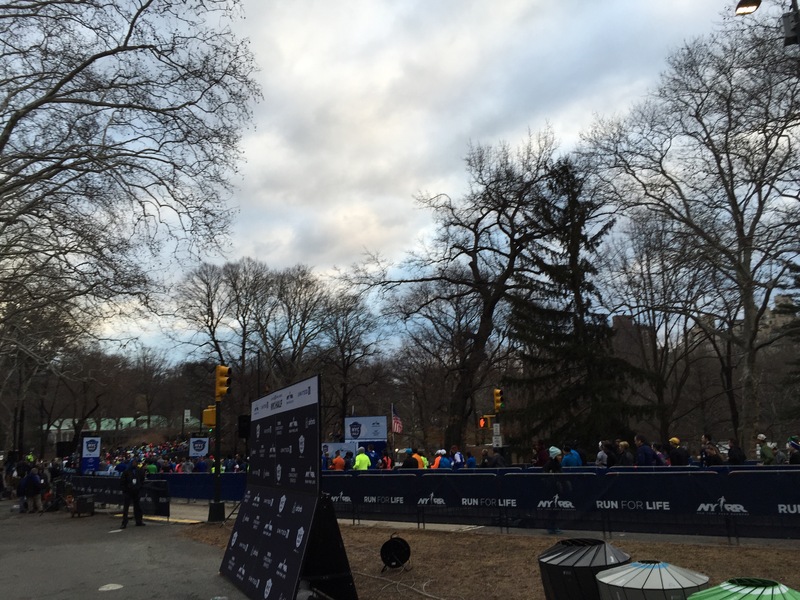 Congrats on the PR and I am so happy both of you won the lottery for this race 🙂 Impressed you also managed some great pics too (while PR-ing) 🙂 I like that NYRR gives bags of food at the end.